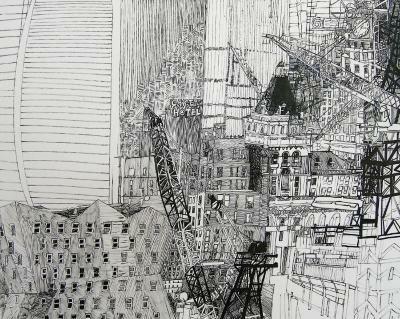 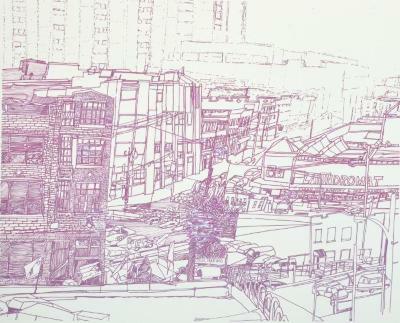 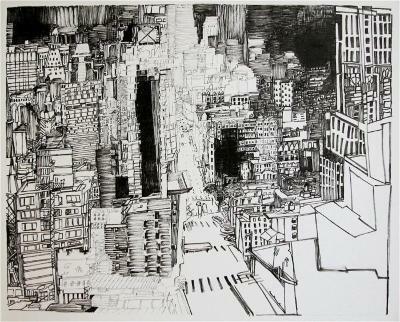 Josette Urso, Crane City, Ink (brush pen) on paper, 18 in X 22 in, 2008. 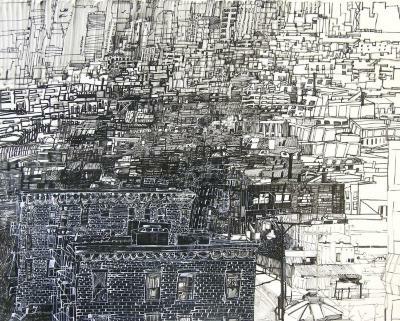 Josette Urso, Clean City Laundry, brush pen and ink, 16 in X 20 in, 2008. 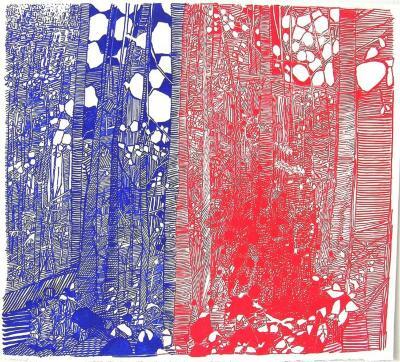 Josette Urso, Red Blue Birch Curtain, Ink on paper, 10 in X 11 in, 2007. 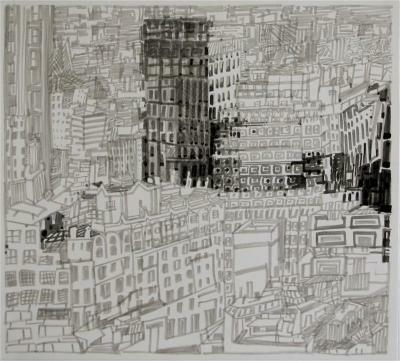 Josette Urso, Silver City 2, Ink on paper, 10 in X 11 in, 2007. 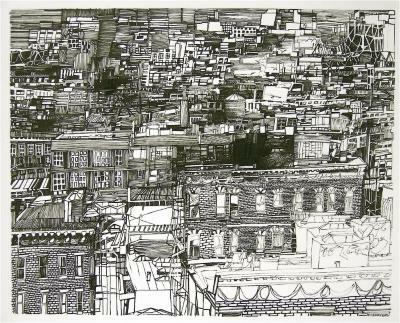 Josette Urso, Silver City #3, Ink on paper, 10 in X 11 in, 2007. 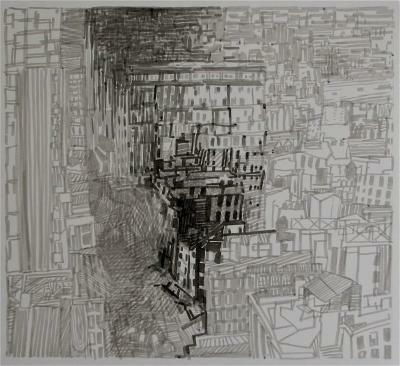 Josette Urso, Empire Upclose, Ink (brush pen) on paper, 18 in X 22 in, 2009. 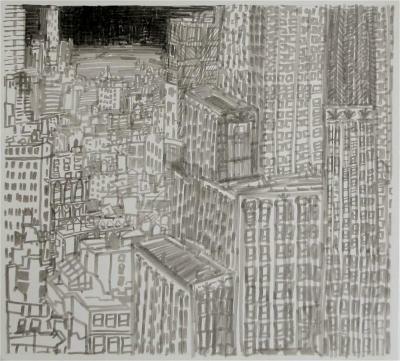 Josette Urso, Bushwick - Rain, Snow, Rain, Ink on paper, 18 in X 22 in, 2010. 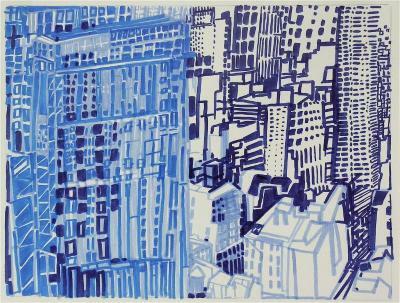 Josette Urso, Rose Snow Day, Ink on paper, 18 in X 22 in, 2014. 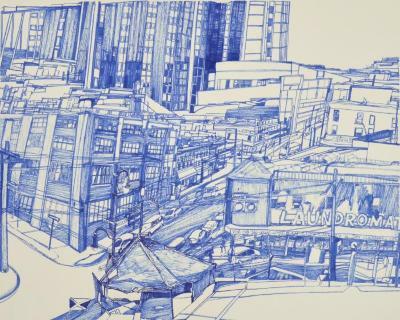 Josette Urso, Blue Spin Cycle, Ink on paper, 18 in X 22 in, 2014. 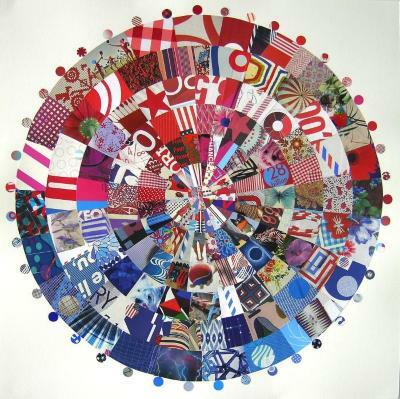 Josette Urso, Triple Blue, Collage, 24 in X 24 in, 2014. 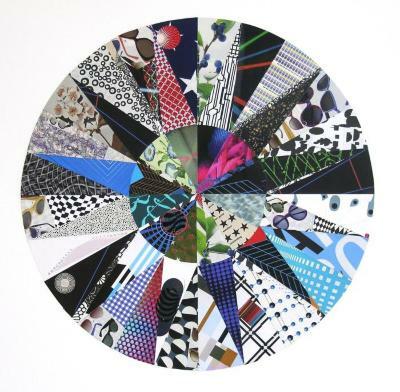 Josette Urso, Always Almost Again, Collage, 24 in X 24 in, 2014.